A Miami-Dade civil court judge put an end to the receivership of a former judge who billed millions to a condominium in Miami Gardens for two years of work. During a hearing Friday, Judge Jorge Cueto ended the appointment of Jorge J. Pérez in the case of the Mirassou Condominium. Pérez had requested on Wednesday to be discharged as a receiver, saying he had completed his job. Now pending is a dispute over the $2.6 million bill for professional fees for the receiver and his team. 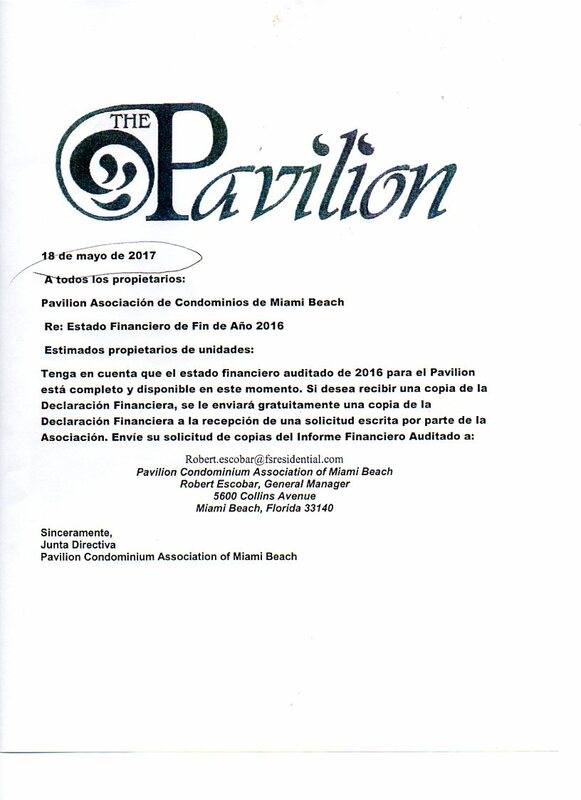 Pérez was appointed in March of 2015 to help the 310-unit condo during a financial crisis. After Friday’s hearing, a group of condo owners chased Pérez to the elevator shouting ladrón (thief), bandolero (bandit) and todo se paga en esta vida (what goes around comes around). Read Perez’s email to Judge Hendon here. 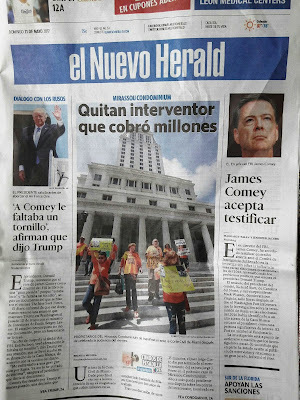 On Wednesday, el Nuevo Herald and Univision 23 published investigative reports on the Mirassou Condominium. Pérez, as a receiver, was expected to collect payments in arrears, correct dangerous code violations, carry out repairs and settle more than $5 million in fines imposed by the County. The receiver carried out several improvements, including fixing the elevators, which are now operating with expired permits. 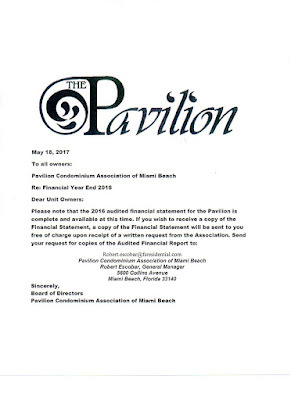 The condo association still owes $5 million in fines, according to Miami-Dade County records. The county has imposed a lien on the property. In a letter to reporters, Perez’s attorney said the receiver and his team are “proud” of their work in Mirassou. Perez charged an average $45,000 a month for the equivalent of four hours of work a day, at a rate of $525 an hour. 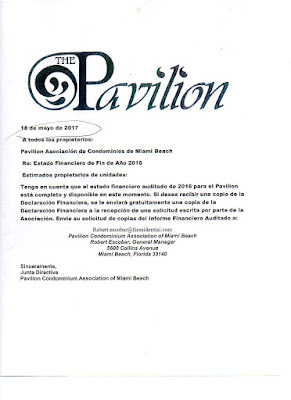 Attorney Guillermo Mancebo, who represents the condo board, said they plan to contests in court the professional fees charged by Pérez and his team. “Justice should not be so expensive,” Mancebo said. At the hearing Friday, Pérez and his attorney, Paul Breitner, told Cueto that Hendon had already approved the bills because no one objected to the fees. But several Mirassou owners said they didn't know they had the right to object to the fees, or that they had to do it by presenting a motion to the court. They also said they did not know that information about Pérez’s fees are available on the court’s Web page. Cueto said he would like to review the bills that Pérez regularly filed with the court and were approved by Hendon. “I’m not going to approve payments today,” said Cueto, who asked Pérez if the costs could be negotiated. Pérez had asked Hendon in March to authorize him to obtain a $2 million loan from TotalBank to pay professional fees. The loan would be paid off by Mirassou owners in seven years, through a special assessment fee added to their monthly maintenance fees. “What worries me the most now is that he leaves and we don’t know how much debt he leaves us, or how much money we have in the bank,” said Mirassou owner Monica Posada. Un juez de la Corte Civil de Miami-Dade puso fin el viernes a la intervención de un ex magistrado que cobró millones en un condominio humilde de Miami Gardens por dos años de trabajo. Tras una discusión de unos 15 minutos, el juez Jorge Cueto dio por terminado el nombramiento del interventor y ex juez Jorge J. Pérez en el polémico caso de Mirassou Condominium. Ahora solo queda pendiente una disputa sobre los cobros del interventor, nombrado en marzo del 2015 para rescatar el reparto de una crisis. Pérez y su equipo de trabajo –que incluyó 8 abogados– están facturando $2.6 millones en honorarios. En contraste, durante los dos años de su labor, solo $970,000 entraron a las cuentas del condominio, según documentos de la corte. Al salir de la audiencia, un grupo de propietarios del condominio persiguió a Pérez hasta el ascensor y en el pasillo gritándole “ladrón”, “bandolero” y “todo se paga en esta vida”. Agentes de seguridad escoltaron a Pérez a un cuarto del tribunal de donde salió cuando el grupo de dueños del condo se había marchado. Pérez rehusó hacer comentarios a la prensa y un rato después fue a la oficina policial de la corte, a acusar a la periodista de Univisión 23 Erika Carrillo de golpearlo. Inicialmente Pérez dijo que presentaría cargos contra Carrillo. Sin embargo, luego de que agentes policiales revisaran las imágenes de un vídeo que mostraba que la periodista ni lo tocó, Pérez dijo que tal vez se había confundido y ya no la acusaría, informó un agente. I just found these posted on my door. I guess it is posted in all doors. 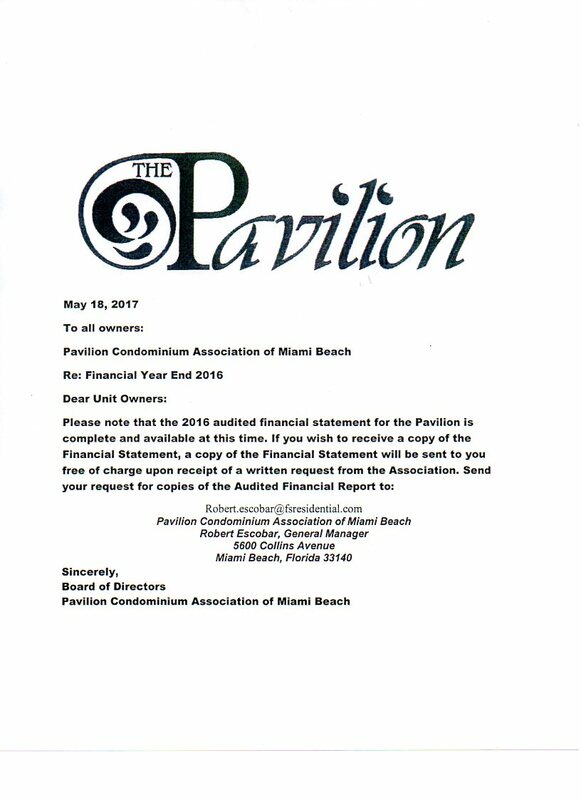 Since most of the owners do not reside at the Pavilion I guess they do not want people to find out the bigger than expected losses in the 2016 results. They have a new contact person: Robert.escobar@fsresidential.com for the building across the street. Write to this person and ask for your free copy of the Audited 2016 Financials. As soon as I get a copy, I will be analyzing these numbers soon and will be posting them in this blog. Join us! We must protect our judiciary from a possible traffic of influences and we demand an investigation into this Judge and whatever ties he may or may not have to this past Judge and Attorney Jorge J. Perez. Judge Eric Hendon has recused himself. First victory!! Tomorrow is the hearing for condo owners from Mirassou condominiums. We must continue to protest this epidemic of continuous abuse to condo owners now coming from the courts .... support your fellow condo owners tomorrow at 2:30 pm is the hearing but we will be protesting from 2 pm on the sidewalk. Condo owners are livid by Judge Eric Hendon's decision to say publicly that he was pleased with the receivers job even when presented with evidence to the contrary. The receiver a past Judg...e and now attorney Jorge J. Perez had done a horrible job. We fear we can no longer trust the courts and their judges to be impartial towards condo owners. The trust has been broken. Our legislators and the Florida Bar must work hard to repair this trust. We feel our justice system is compromised & tainted by past judges, law firms, and attorneys getting too cozy with current judges. We don't know why Judge Hendon would dismiss the pain of these hard working families but we as a community will not stand for it. It seems that this Judge has no decency, no common sense, and is unfit to uphold the law. The law is a system of rules that a particular country or community recognizes as regulating the actions of its members in this case the law, truth, and reason seem to be dead! We are sick and tired of the abuse. For a total of $19,685,000 already committed. With the proposed $4,800,000 from May 1, 2019-Sep 1 2025 we get to a total of $24,485,000. We have until the end of 2018 to make this decision. What is the motivation to do it now? Why the hurry? 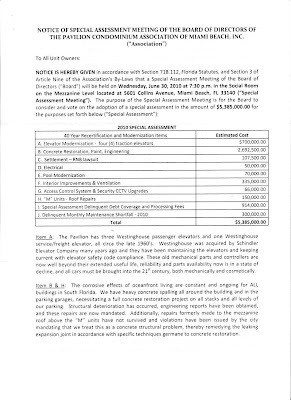 By the way, the Condo Act, FS 718.116(10),requires that the projects within the special assessments are well defined as to scope and cost, see enclosed 2010 document. Money can only be spent on projects defined in the documents sent to all owners. FORT LAUDERDALE, Fla. – May 16, 2017 – In a major victory for Florida’s condominium owners, the Florida Legislature last week approved a bill allowing a key opt-out provision for installing fire sprinkler and engineered life safety systems in older high-rise buildings. Becker & Poliakoff shareholder and former State Senator Ellyn Bogdanoff spearheaded the targeted advocacy initiative that passed this landmark legislation. The bill now heads to Governor Rick Scott for his signature. For more than a decade, older high-rise condominiums and cooperatives throughout Florida have tried to clarify their legal rights regarding sprinkler system retrofitting requirements. In fact, Florida is the only state in the U.S. that did not make a grandfathering exception for buildings pre-dating the 1994 Life Safety Code proposed by the National Fire Protection Association. As a member of the Florida House in 2010, Bogdanoff sponsored a bill entitling associations to opt out of certain fire sprinkler requirements. 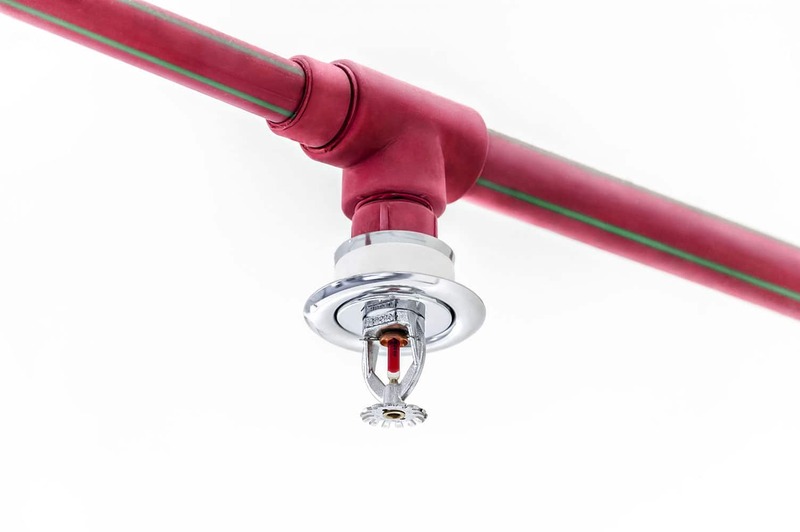 Despite that bill’s passage, as the December 31, 2016, deadline came and went, older high rises that had previously voted to opt out of a sprinkler system were told by local fire officials that they were still required to install sprinklers as part of an Engineered Life Safety System with no opt-out rights. The bill passed last week, originally proposed in the House by Rep. George Moraitis (R-Fort Lauderdale) and sponsored in the Senate by Kathleen Passidomo (R-Naples), most significantly gives high-rise communities the ability to opt out of an ELSS and provides high rises that might have missed the original December 31, 2016, deadline to also opt out of a full sprinkler retrofit. "The Martinique Club of Naples Inc. was pleased with the Becker & Poliakoff law firm's help with the efforts to avoid or minimize the effects of the installation of an engineered life safety system” said Tom Ziems, Club President. Eric Glazer, Esq. : DO THE NEW LAWS DETER PEOPLE FROM SERVING ON THEIR CONDO BOARD? b) destroy official records or refuse to allow inspection or copying of an official record of a condominium association… in furtherance of any crime. There was a lot of talk this legislative session that these new laws would scare volunteer board members from running for the board out of fear of now facing criminal prosecution. I just don’t get it. Unless a director plans on forging or destroying ballots or deliberately blocking an owner’s access to records in order to cover up a crime, I just don’t understand why they would be frightened from now running for or serving on the board. News flash……….it is also illegal to use the association’s funds as your personal piggy bank. If you do, you will face arrest and possible incarceration. That has always been the law and certainly that hasn’t deterred people from running. Last I checked, attorneys can get arrested and incarcerated for stealing from their trust accounts. Doctors can get arrested for Medicare fraud. Yet, the medical schools and law schools are packed. People who have no intention of breaking the law should not be deterred from running for the board. Instead, they should be happy that tampering with condo elections is now a crime. They should be happy that directors who hide records to conceal a crime may have time to think about it from their prison cell. People who want their livelihood or profession to be respected are not scared or dissuaded when regulations are put in place that require them to be professional and maintain certain standards of professional conduct. On the contrary, those standards dignify the profession and should be welcomed by those who enter the profession with only the very best of intentions. Starting July 1 2017, if the Association fails to provide an owner access to records you will be able to call law enforcement and press charges for OBSTRUCTING JUSTICE and/or TAMPERING WITH EVIDENCE. For years, too many condominium associations and their management companies have acted as if they were dictatorships. That soon will stop. By a vote in the Florida Legislature, many of the abuses in which these association managers engaged just became criminal offenses, thanks to a bill passed in the state Senate on Monday. The only thing missing now is the governor’s signature. That’s great news for the state’s condo dwellers, especially those enduring abusive association management. They now have some recourse, and the law is on their side. According to the amendments to Chapter 718 of Florida law, which regulates condos, evidence of fraud in board elections become prosecutable. Among those actions now considered punishable crimes: signature counterfeiting, document manipulation, and ballot theft. Those convicted face steep fines and even jail time. The changes also makes it a crime to hide or alter public records related to the condominium, mainly past financial reports, with the intention of concealing or facilitating fraud. 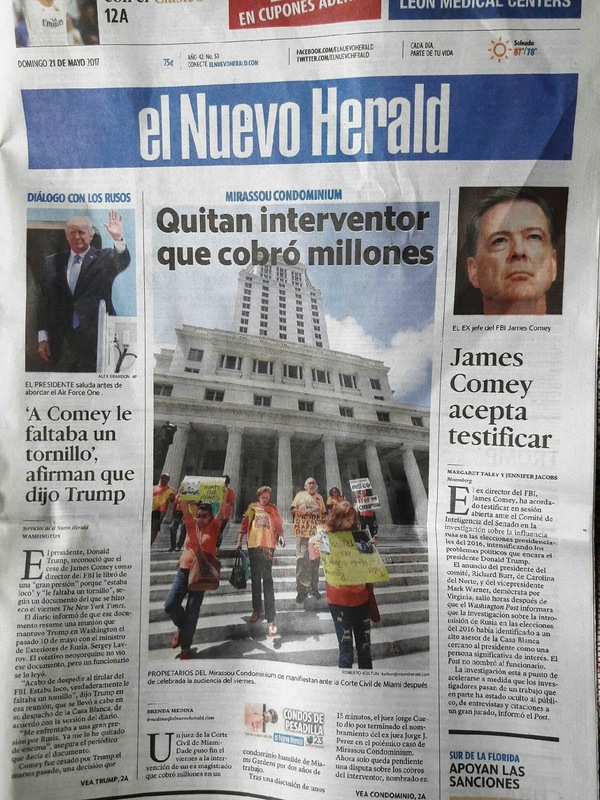 The legislative action comes a year after the publication of an excellent joint investigative series by el Nuevo Herald/Univision 23 -- “Nightmare Condos” by reporters Brenda Medina and Enrique Flor. It revealed cases of condo associations’ electoral fraud, the falsification of signatures, conflicts of interest, alleged misappropriation of funds, you name it. Offenders usually walked away, unpunished. The series was followed by a Miami-Dade grand jury report that echoed the series’ troubling revelations. The jury made 29 corrective recommendations and asked for substantial changes to the state law that regulates condos and the state agency that should ensure compliance with that law. We praise the Legislature for combating the plague of condominium fraud. In Florida, there are more than one and a half million condominiums, and more are built every year. This boom, sadly, opens up the possibility of fraud in their administration. Often targeted are the coffers filled tenants’ maintenance fees. In the past, many who have abused or defrauded associations have walked away unscathed since there were no laws specifically addressing these issues. The heroes in this story are State Sens. René García, R-Hialeah, and José Javier Rodríguez, D-Miami. In the House, the sister bill was shepherded through by Rep. José Félix Díaz, R-Miami — and a bus full of Miami-Dade residents, all victims of condo associations and all now civic activists because of it. They went to Tallahassee to rejoice and watch the bill pass in the Senate. They were the people’s voice in this effort. We congratulate their squeaky-wheel civic engagement. As for the bad guys: The grand jury cited irresponsible inaction on the part of the Department of Business and Professional Regulation. There is no excuse for continued departmental indifference to condo owners’ distress. It’s imperative that authorities enforce the new law once Gov. Scott signs it — which he should: Expediently investigate alleged abuses; follow the irregularities; and examine negligent condo management associations — the department must undertake these tasks with a sense of urgency. The passage of the bill is a good first step to combating condo fraud and bringing Florida condo associations under the protection of the Sunshine Law. Cyber Citizens for Justice: The new [Condo] bill has lots of teeth. The Condo Reform Bill H 1237 was voted upon favorably by the Senate and will be on the way to the Governor. We need everybody's help to write to the Governor asking him to sign this very important bill into law -- starting July 1, 2017. The version that passed is H 1237EG, which includes more or less all the provisions that were in the originally filed bill. Good going! Only the recall provisions have serious flaws, but it was too late to fix them this year. Remember: This year's session ends on Friday. The sponsors promised to fix it next year. I will post the final version with the Bill Summary tomorrow on the website. The new bill has lots of teeth. Now let's see who is willing to bite!!!! A big Thank-You to the sponsors of the bill -- State Representative Jose Diaz and Senator Rene Garcia. They kept their promise and fought hard for the condo owners. Let's see if we convince them next year to fight as hard for the homeowners, creating similar provisions in FS 720.